Do you wish that you had an attorney that gave you personal attention along with thorough service? I, John Nguyen, Attorney at Law, make the time to meet personally with each one of my clients in order to better understand exactly what they are looking for in the outcome of their case. I feel this personal connection is important because there are usually large issues at stake when dealing with the law. Clients should feel comfortable with me and feel like they can trust me with anything. This way, I can fully understand their goals and how to proceed. Call me or stop by today and I will gladly offer you an honest assessment of your case. My practice is very focused on supporting families. I offer a wide range of legal services; however, I concentrate practice on immigration law, divorce and family law, personal injury, and contract dispute cases. Along with my personal approach, my knowledge and experience in these areas allows me to increase my effectiveness when advocating for my clients. 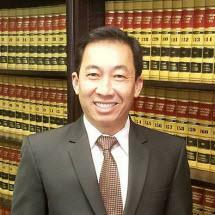 If you need a California family attorney or immigration lawyer, or a Modesto personal injury attorney or contract lawyer, contact John Nguyen, Attorney at Law, for trusted legal representation. Choosing an attorney is big decision. You need someone who will stand up for your rights and has taken the time to fully understand your case. In addition to English, I am also fluent in Vietnamese and my staff is also fluent in Spanish. Give me a call or stop by my office today so we can discuss your case. I eagerly serve clients in Modesto, Stockton, Merced, Stanislaus County, and San Joaquin County in sunny California.